Dr, Joe Obiajulu Okei-Odumakin, Chairman (Steering Committee) Movement against Corruption and President Women Arise for Change has urged Nigerians to join the EFCC in winning the war against corruption. 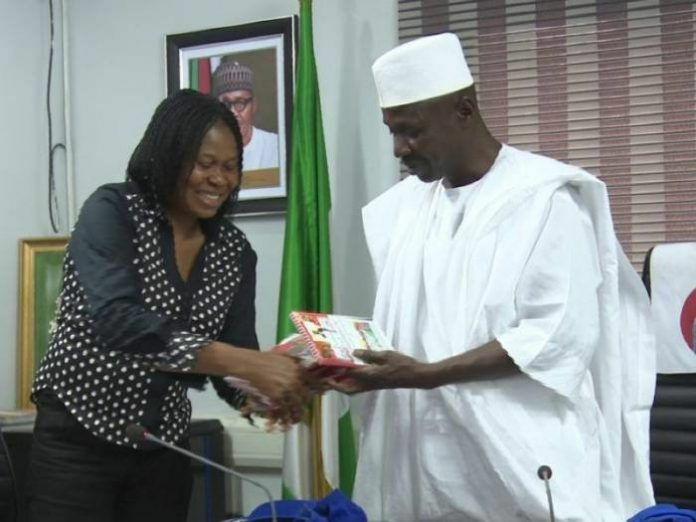 Odumakin who was speaking during a courtesy visit to the Economic and Finacial Crimes Commission on February 2, expressed concern over the impact of corruption in Nigeria noting that “Nigeria is bleeding under the heavy weight of corruption”. She called on Nigerians to take the fight against corruption as a duty saying, “There is the need for Nigerians to own the fight against corruption because it is not only for Magu and EFCC, but for the citizens to win”. Odumakin attributed the success of the EFCC to the political will of the government, noting that Nigerians too can attest this going by what happened recently in Addis Ababa where President Buhari was honoured as the ‘Africa Anti-corruption Champion’ by the African Union, AU. “The government has helped in providing an enabling environment for the Commission to thrive”, she said. The Acting Chairman of the EFCC, Ibrahim Magu, on his part, called on Nigerians to eschew all manners corruption as it remains the bane of the country. Magu urged the group to take upon itself the zeal to fight corruption stressing that, “It is a duty that must be done”. In charging Nigerians to take ownership of the fight against corruption, Magu challenged individuals as stakeholders in the fight not to shy away from fighting the hydra-headed monster. “Fight corruption the way you can. The fight against corruption should not be left for the EFCC alone. Everybody has a duty to fight corruption. You may not fight corruption the way EFCC is doing, but you can do it through your actions or deeds”, he said. The EFCC boss assured the group that, despite the odds, he would not give up in the fight against corruption adding that he would fight the menace this year like never before. “Against all adversaries, I remain focused, dogged, committed and determined more than never before to bring all corrupt elements in this country to justice. So, let’s join hands to fight the battle and ensure it is won”, he said. He urged the group to continue its efforts in mobilizing Nigerians against corruption for the country to attain sustainable development. Oke-Odumakin was accompanied on the visit by Sadiq Daba, veteran actor and ambassador of the Movement Against Corruption. Other members of the delegation are Olufemi Lawson, Tim Gabriel and Leye Somefun.